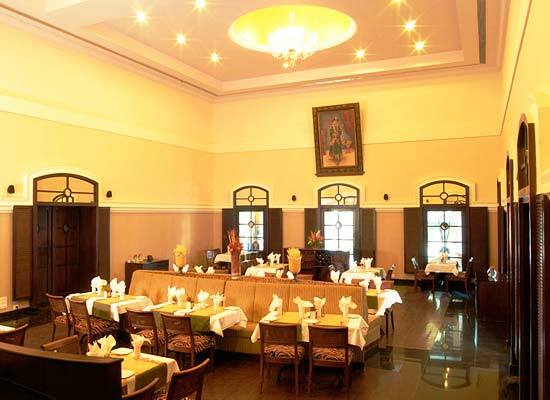 "Built as an embodiment of the culture and heritage of Mysore, Royal Orchid Metropole is a 4 star luxury grand hotel. The imposing structure of the hotel beautifully showcases the old world charm, which enlists it amongst the top business hotels in India. Royal Orchid Metropole in Mysore offers a combination of luxury living and rejuvenation. Besides, Vintage car tours, Ayurvedic and Yoga lessons are also a part of the stay at the grand hotel. 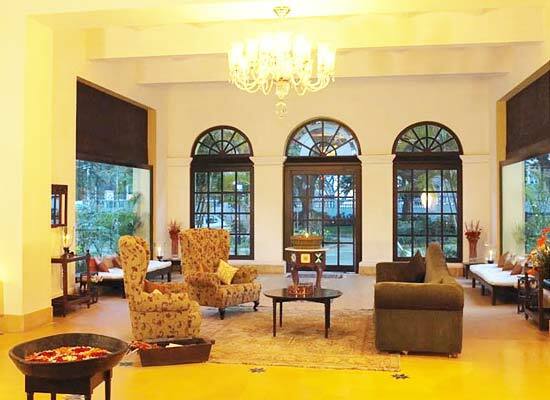 The majestic Royal Orchid Metropole hotel has been serving the elites since 1920. It was actually built to serve British guests by the former Maharaja of Mysore. These particular types of suites are kept well spacious and facilitated with amenities of modern comfort. 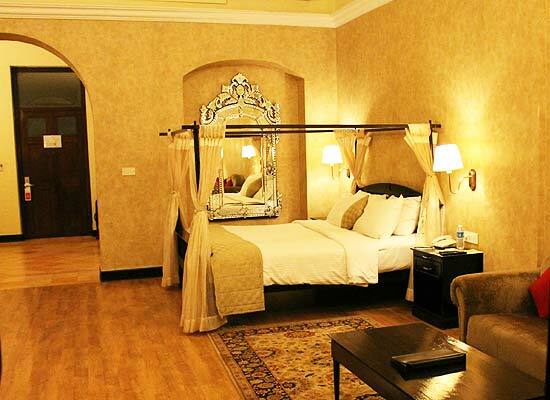 Besides comfort, the interiors are the most highlighted as they are carefully designed to maintain the royal decorum. As the Royal Orchid Metropole is a vintage hotel, the need to preserve the decades old heritage, is amongst the top priorities. Owing to this, the handful of the privileged clients gets to stay at the Heritage Suites, the interiors of which are reminiscent of the bygone era. This is the third type of residential suite that are filled with all the modern amenities and which offers luxurious living at its very best. Evident from its name, the suites are meant to offer a king size living. Just like luxury living, dining at Royal Orchid Metropole is also a wonderful experience. The in-house Shikari restaurant is a real treat for bar-be-cue lovers. 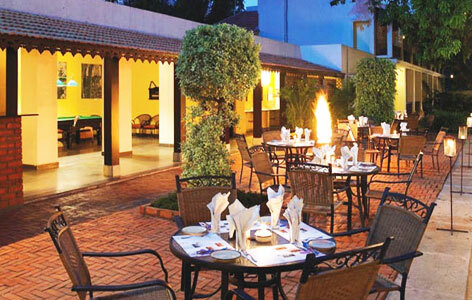 It is an open air dining facility that offers some of the most exotic cuisines of Mysore. Plus, the ambience adds on to its charm. Post dinner, you can head to Scandel, which serves premium drinks in a vibrant ambience. The interiors are all trendy, making late night gossips over drinks more soothing. At Royal Orchid Metropole, everything has been taken care of. Be it the dining or a facility to spend your afternoons at leisure. Serving the latter brilliantly well, is ‘High Tea’, which allows the guests to have a nice cup of tea with yummy lunch in a warm and lively ambience. Tiger Trail is a facility at the Royal Orchid Metropole, that is known for its decors which widely resemble that of a hunting lodge. It is an open air eating joint and it serves exquisite cuisines of Mysore. Located at the base of Chamundi hills in Karnataka, Mysore stands proud as one of the most culturally vibrant cities in the state. 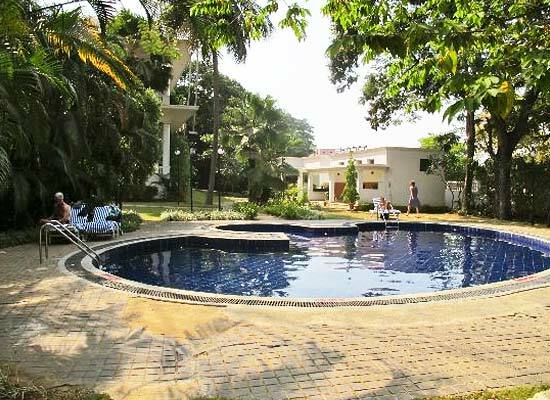 The city is known for its old charm which is beautifully reflected in the city’s numerous heritage mansions, shady avenues and well-manicured gardens.